Majority of partners are considering the use of Smart Shopping Campaigns and are instantly seeing a reduction in CPCs. In this article, we’ll look at what this means for the future of online shopping for both Productcaster and our Comparison Shopping Service (CSS) retail partners. How does Smart Shopping work? Smart Shopping Campaigns (SSCs) use machine learning and automated optimisation to show ads across Google. They have one goal: maximise conversion value. Smart Shopping Campaigns use insights from Google that include but are not limited to queries, time, seasonality, device as well as location and placements. They also use retailer insights to better understand the consumer. These insights could include audience lists, sales, price, basket size as well as product category and ad creative. This then allows SSCs to distribute budget across networks and formats. Do SSCs work if retailers are linked to a CSS partner? In Europe, Smart Shopping Campaigns can be used with any CSS and the great news is that retailers would still benefit from up to 20% CPC savings, as they would normally. Smart Shopping Campaigns would then be shown across Google Search Network, Display Network, YouTube and Gmail. This broad spectrum of outlets finds the right customer for retailers, and at the right time. There will be some technical requirements, but Smart Shopping Campaigns should be as easy to set up as any Shopping Campaign within Google. From a technical standpoint, retailers will need to have conversion tracking activated with transaction specific values and have at least 20 conversions in the last 45 days. Retailers will also need to add a global site tag to their websites and have a remarketing list of 100 active users or more linked to the Google Ads account associated with their business. What are the best practices guidelines? Budget: To maintain a similar overall spend, it’s important to use the combined historical daily spend of your standard Shopping and Display Campaigns to produce a new budget for an SSC. Optional Target ROAS: If a retailer has a minimum return goal for their campaign, they can set a target ROAS. This will then mean that bids will be optimised to hit the target set within the daily budget. Products: To get the most out of a Campaign, adding as many applicable products is paramount. The selection of products should be similar to historical campaigns to ensure that spend and sales are the same or better. Assets: Using a high-quality logo and image assets that showcase the business is crucial. Along with text, these assets can be used to create remarketing ads. Custom Parameters: These allow Google to gather a number of insights about which items visitors have shown an interest in. Although you can run an SSC without them, these will help garner better performance. Do the ads support all targeting options and general best practice? There are some points to note that we think retailers should be aware of when considering the use of Smart Shopping Campaigns. Retailers should consider how it changes their optimisation, publishing and availability of detailed reporting. At Productcaster, our recommended best practice would be to include all of these 5 areas as part of your optimisation strategy. The technology we have created to support paid media, Forecaster, includes these elements to predict the performance of campaigns. Being a multi-channel performance marketing platform, Forecaster, by using predictive analytics is able to tell retailers and brands exactly how much, where and when to spend their online marketing budget across PPC, PLAs and Display. We would always recommend that approach, however, if you still want to explore whether this new ad format could add value speak to us and we can work with you to create a test plan, which we do advise before full rollout. How can you test SSC ads? The best way to do this is to conduct a pre and post comparison on performance. Using our measurement framework, retailers can identify the value of Smart Shopping. Furthermore, if rolling out all products on Smart Shopping sounds like a step too far, there is the option of testing specific product groups first. Still need help deciding if SSC ads are right for your brand? 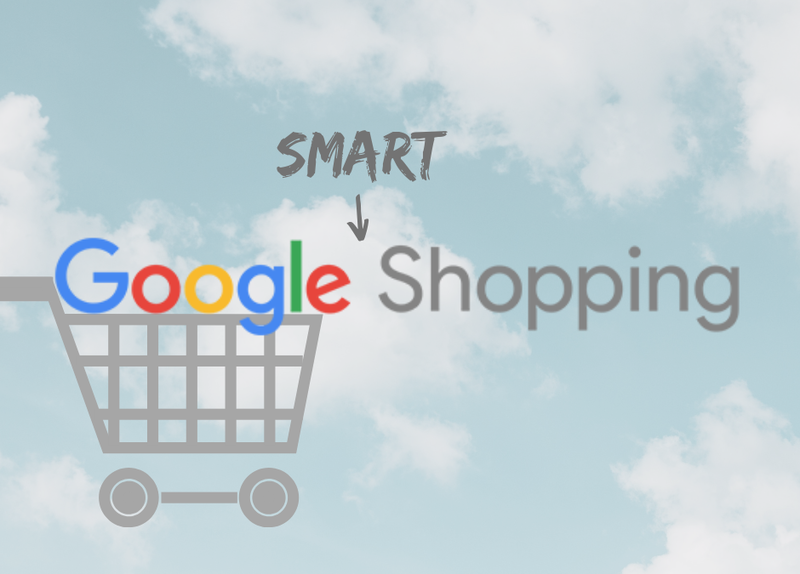 If you’d like to learn more about Google Smart Shopping Campaigns, or how you can really maximize your media budget to deliver the best results with Forecaster, you can talk to us. Simply get in touch with the Partner Development Team.